Do you sometimes find yourself in a playful attitude and want to express that feeling? Or do you wish you felt more playful and want to bring out a youthful side to you? 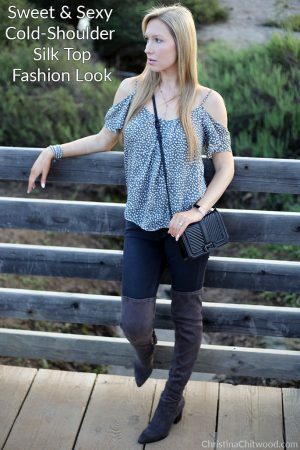 This fun white and black leopard fashion look is bold and playful! 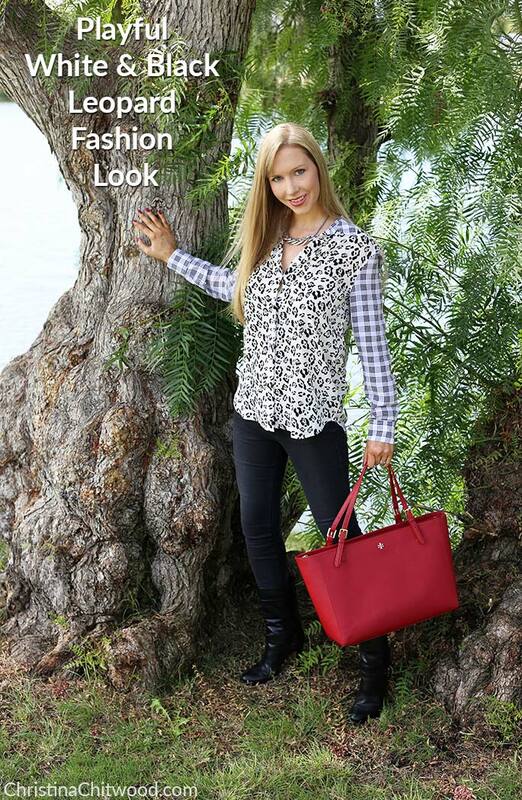 This outfit is based on an expressive white and black leopard top with a bold accent of red with the handbag! 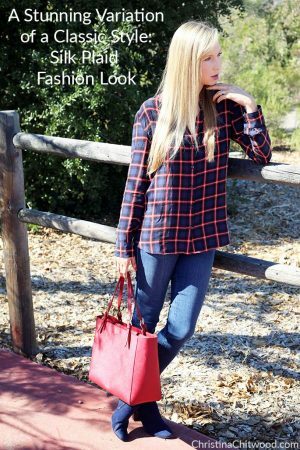 When a pattern is more active, solid colors with less details work best for accessories and the rest of an outfit. This leopard top is fun and playful. It’s a neat top to have as a unique piece in your wardrobe. I like the combination of leopard and plaid which are both popular patterns at the moment. The v-neck shows just enough skin for the pattern to not be too overpowering. This large red handbag provides a striking pop of color. This tote is very versatile because it has two large sections with a padded zipper pocket for a laptop or whatever you’d like to store there. It fits my 15-inch Macbook Pro perfectly. This is my favorite laptop bag I’ve ever owned. It doubles as an awesome handbag. 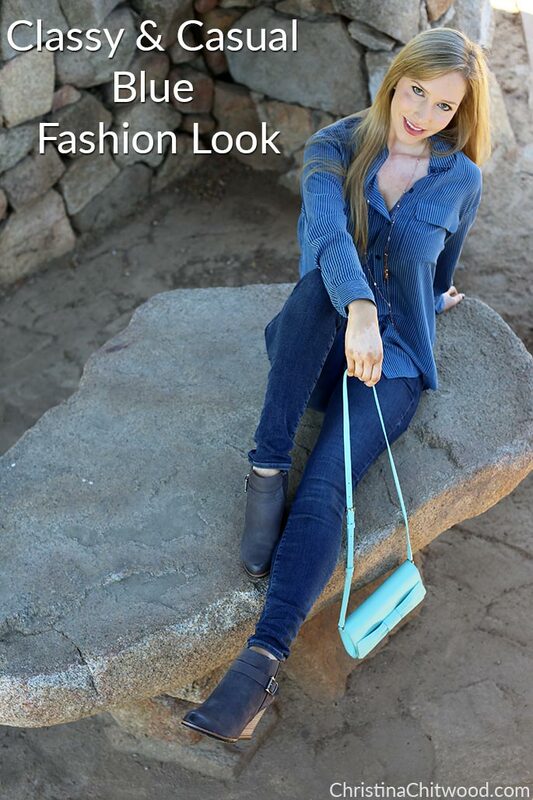 These skinny jeans are super comfortable and stylish with this top. 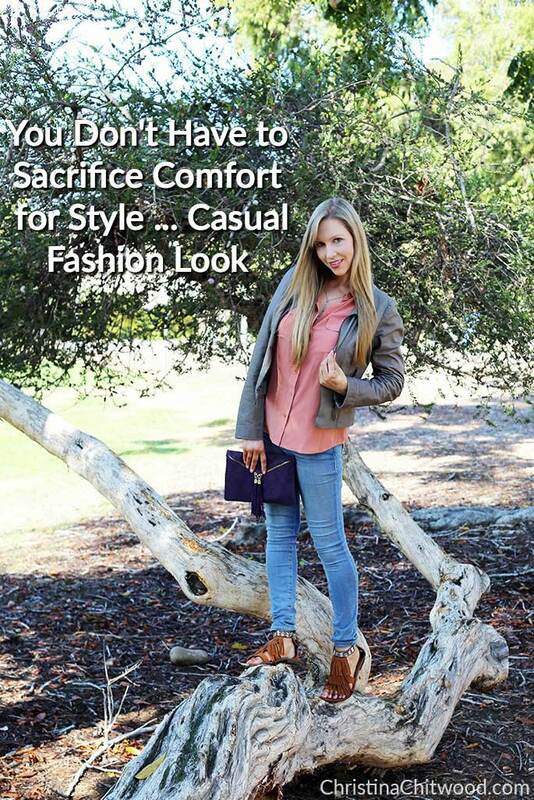 The color makes the outfit even more casual. These boots stand out, and I really like the buckles on them. The silver necklace provides a classy addition to the outfit. I’m wearing a leather wrap bracelet and my Fitbit Alta with a leather band which can be subtly seen when the arms are raised. 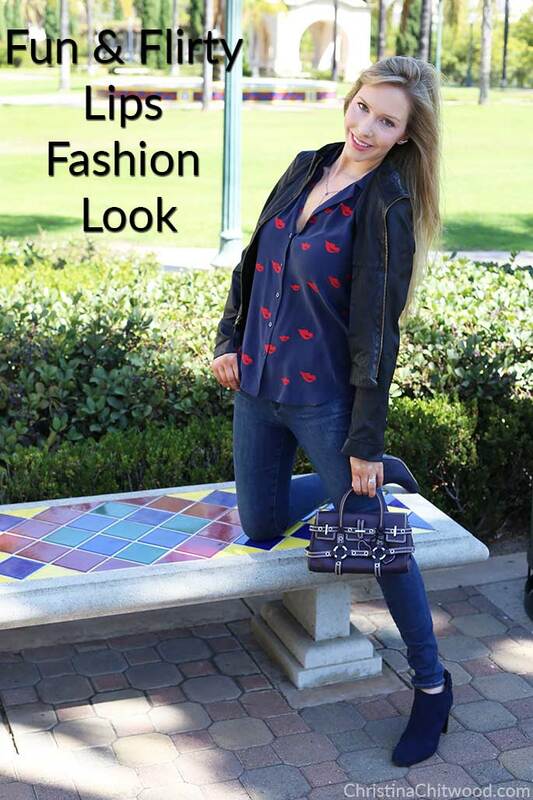 My favorite parts of this outfit are the unique leopard with plaid top, the bold red handbag, accents of silver from the jewelry and buckles, and the boots with the rest of the outfit! Do you have a favorite from this white and black leopard fashion look? What kind of outfit or style would you like me to do a post on?